Crammed right to the crust with Dad&apos;s famously lean steak in its own rich, creamy sauce, with plenty of piquant cracked black pepper. The family had all gone out for a burger and fries so I was left home alone to cook for myself. I remembered I had just been given some more of Dad&apos;s Pies to review. I choose the pepper steak as I thought that would be one that the kids wouldn&apos;t be keen on. After heating it in the microwave, because I am impatient, I sat down to enjoy in peace. The first thing I noticed was the pastry top had lots of peppercorns on the top. I have the strange habit of removing the pie&apos;s lid and eating it first so I wondered if it would mean that the filling of the pie would lack pepper. I was wrong. The lid had a nice pepper kick to it. It would have certainly prevented the kids from stealing it. The filling however also had a lovely pepper flavour coming through from the tender meat and gravy. This is a quality pie. There was the perfect balance of meat, pepper and gravy. The pastry was still nice even though it had been microwaved. I really enjoyed the pie although I imagine it is probably targeted more at the blokes. I&apos;m sure my husband would have really enjoyed it. 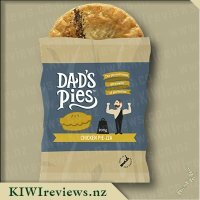 When I seen it in the supermarket I will grab one for him to try and perhaps one for me too but there are so many different Dad&apos;s Pies I love it will be hard to decide on a favourite. I like spices with my food, and pepper is one of my all-time favourites, so I was looking forward to trying this pie. It looked attractive with its sprinkling of cracked pepper on the top, and the filling was a rich deep brown. Even before I tasted it I knew I was going to like it! There was a reasonable quantity of meaty chunks inside, and not a trace of gristle or fat anywhere. Just lovely tender beef. The gravy was thick and very flavoursome and the pepper flavour came across strongly but stopped short of being overly hot. I also tasted another spice which intrigued me. On investigation I found what appeared to be caraway seeds but I cannot be sure. Whatever they were, they were delicious and added to the piquancy. The packaging does not itemise all the individual herbs - it could also have been anise or another similar shaped seed. I was interrupted half way through eating my pie, so when I returned it was quite cold. I have to confirm that it was equally delicious eaten that way. The filling had set around the meat and if anything the flavour had intensified. Because the pastry is not heavy, it did not have that cloying after taste that you can get with other pies when eating them cold. It would be quite a tasty addition to a picnic lunch if served cold cut into wedges. I think this is a pie that would appeal to adults rather than children. The pepper flavour might be too strong for young palates, but then again some might like it. I know, when I was a child, I enjoyed spicy foods and could be quite heavy handed when adding pepper or other extras. This is one flavour I will definitely buy again. Over recent years I have really come to appreciate the taste of pepper and my pepper grinder has never had so much use! Therefore I was keen to try this pie, and was pleased to see the good sprinkling of cracked pepper on the top. I had some extended family members taste testing this pie with me and we cut it in small pieces for us each to try some. Miss 7 declined this one, but I didn&apos;t really think it was up her alley, and it meant more for us adults anyway! Comments were favourable and as usual the steak was pleasantly tender, although I did find a grisly piece in mine, but after tasting a number of Dad&apos;s pies now, I know this is unusual. I loved that there was a really pleasant peppery after taste and I really did enjoy the flavour of this pie. I noticed that this pie had a fat content of 10.5% and although I didn&apos;t have other pie brands to compare this to, it seemed pretty low for a pie which was great. This is particularly noticeable in the pastry as it doesn&apos;t have that greasy after taste that other pies can leave on the top of my mouth. When I first started trying Dad&apos;s pies I thought the pastry was a little dry, but I actually now really appreciate the taste and there really is nothing I can mark the pastry down on in my scoring. 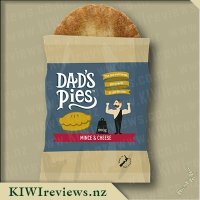 This pie is easy to cook in the bag either in the oven or the microwave (I used the oven for this one) and although there are a lot of great flavours in this range, this is one I&apos;d definitely buy again and would recommend to others who enjoy their pepper too. When I opened this pie, I noticed that there was a good sprinkling of cracked peppercorns on the top. My children are not into pepper and I was pretty sure this pie wouldn&apos;t appeal to them. I was also pretty sure that it would be right up my husband&apos;s alley! When I cut int the pie, we all noticed the smell of meat and pepper. Everyone, including the kids thought that it smelled rather nice. It was also visually appealing, the texture looked good and there were good sized visible chunks of meat. Everyone thought that there was a high meat content in the pie. When I looked at the ingredients list, I found that there was actually only 36% beef in the pie. Although I would prefer a higher meat content, I think that Dad&apos;s Pies did a good job of creating a product that tasted like it had more meat in it. The meat inside the pie was nice and tender and enjoyable to eat. It did have quite a peppery taste and Mr Six wasn&apos;t keen on eating it. Miss Three ate her piece of pie and seemed to enjoy it. She then started commenting that it was very spicy. I didn&apos;t pay too much attention and then I looked around and saw that her eyes were starting to water and she was struggling with the fact her mouth was too spicy! We gave her a glass of milk and she settled down. It is amazing how children&apos;s taste buds can be so different to adults. I think we might have to give her another few years before trying her with pepper corns again!! My older niece (12) and nephew (11) were both fine with the level of pepper in it. My husband and I enjoyed it as well. Mr 11 and Miss 12 are new to trying Dad&apos;s Pies and they were very impressed with the pastry (as are the rest of our family). Even though they don&apos;t eat very many pies in their diet, they are used to ones from school. 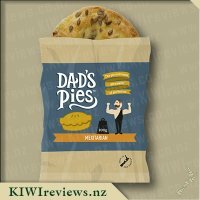 They mentioned that Dad&apos;s Pies have a very nice pastry and it holds together nicely. They found that these pies weren&apos;t soggy or let the insides ooze out. 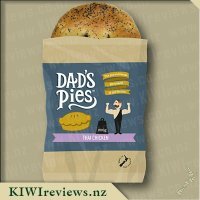 These are the same observations that we have had with the rest of Dad&apos;s Pies as well. Mr 11 thought that this pie was one of the best pies he has ever had. In summary, if you like a strong pepper taste, this is for you. Perhaps not for the very young (unless they are accustomed to lots of pepper hitting their tastebuds). My personal tastes would sway more toward the plainer pies like mince and cheese and steak and cheese. This pie is a great one for my pepper loving husband or brother in law. Working in Wild Bean Cafe&apos;s for many years, I have tried pretty much every pie that Dad&apos;s has created. 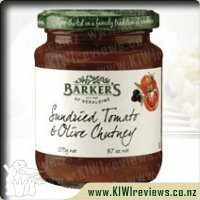 This is one of those flavours that I had tried in the past and didn&apos;t really think much of, and thus never tried again. Until 8 years later; last week. One of the interesting things about "european" cuisine (I use that term to cover most caucasian food) is that they will forever hold back whenever it comes to chilli and peppers. They will create "hot and spicy" products, but I generally end up disappointed in the lack of follow-through, and the subsequently mild products that come out of it. Pepper on the other hand (not peppers. Pepper), black pepper specifically, is much more widely used, and in greater quantities, providing a bigger kick than what you would find in "hot and spicy" foods. I think that is the reason as to why I usually love steak and mushroom pies; because of the large amounts of black pepper added to the composition of the pie. But rather than "ground" black pepper, this product has chosen to use "cracked" black pepper. One of the consequences of this is that the pepper granules are still in much larger pieces, which release large amounts of flavour when bitten into. And this is the part of the flavour that will either make you love it or hate it. The intense pepper flavour that you get when a peppercorn ends up between your teeth. It&apos;s almost like adding seasoning to every mouthful, while it is still in your mouth. While I largely enjoyed the flavour kick, it mean that the flavour of the pie was less than consistent. Some parts were lacking in flavour, while other parts were very intense. All dependent on how much pepper you got on your fork. This time I rather enjoyed it. It wasn&apos;t brilliant, but I can&apos;t fathom why I have shied away from this variety for the last few years. The meaty chunks were not overly large in size, so they were pretty well spread out about the pie. And that is really all there is to the flavour. If you like beef and pepper, then you will enjoy this pie. If you want it to have a more consistent flavour then you really need to chew each mouthful for a while to "release" all of the pepper flavouring prior to ingestion. The flavour will vary depending on the amount of pepper caught in-between your chompers. 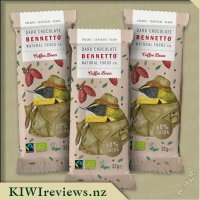 Pretty good, but it would be great if it had another flavour in there to balance it out a bit more, and flesh out the flavour profile. Mushrooms? Cheese? The actual "level" of spice was fairly mild compared to some of the REALLY spicy things I&apos;ve had in the past, but what was most interesting is that the pepper was distributed unevenly. The mouthful my Mum took was from near the edge, so most of pepper was in the center, but even then it felt like it wasn&apos;t spread evenly. The steak was lovely, it was tender and tasty, but it was a bit dry and stringy, so that could be worked on. The pie also held a sauce that went well with the steak, but I couldn&apos;t pick up on the white sauce at all for some reason. I have no idea what the flakey black herb on the lit was, but it was quite an interesting addition to the pie and it added a bit of aesthetic flare. 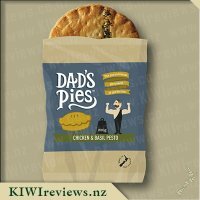 This wasn&apos;t the greatest of pies, to be honest, it isn&apos;t the worst I&apos;ve had from this brand, but most of the taste I got came from the pepper, so perhaps a little less of it would be a good idea. This thing was pretty easy to cook, though, only needing 2 and a half minutes in the microwave to be heated through. I was interested in the fact that this pie was heated in the bag, which acted as a sort of steam oven, essentially using the microwaves to heat the water inside and then contain the steam with only minimal loss through perforations in the bag, and both the microwaves and the steam cooked the pie thoroughly and properly. Overall, I would say that this isn&apos;t the best pie I&apos;ve had from this brand, it certainly isn&apos;t the worst, and it still tasted very nice. I would still recommend this pie to everyone, but I do warn that it is better for people that are accustomed to the taste of pepper. I was looking forward to the Pepper Steak pie the least as I&apos;m not a huge steak nor pepper fan, though after trying the Steak and Cheese pie I was looking forward to this pie a little more. Getting it out of the bag you could see it had a generous sprinkling of black pepper on the top, so I knew that it was going to have a bit of a bite to it. I&apos;d already thawed the pie, you can thaw it and store it in your fridge for up to thirteen days so I just needed to pop it into my oven, I&apos;ve found that thirty minutes instead of twenty suits us best. The pastry was just the right amount of soft on the inside and nice and crispy on the outside, a great feature of these pies. I couldn&apos;t really smell the pepper but as soon as I took a small bite it was all I could taste! I&apos;d cut out a little piece to try and it was a struggle for me to finish it, there was a good amount of gravy and meat and the meat was a tad chewy but not so much that I wouldn&apos;t eat it... But there was just way to much pepper in it for me to be able to eat more than the little piece I had cut out and I passed the rest to my husband, who other than wishing for some cheese in it, happily polished it off. Not a pie that I will be buying, a hint of pepper, maybe, but this was too strong for me. This was a pie I was really looking forward to trying as I enjoy a steak pie and with a bit more of a bite would make it perfect. The pie was golden brown with peppercorns sprinkled over the top of it. It was at this stage that I started to wonder if the pepper was just that sprinkled on top of a steak pie. In taking the first bite I realised that this was not the case. The pepper taste was throughout the dark rich filling. So much so that my mouth started to burn. I am one that loves a lot of pepper but this topped it. My mouth was warm and my nose started to clear. It reminded me more of a beef curry than a pie. I found that this had lots of chunks of steak in it (my definite preference over minced meat), and surprisingly even though the pepper took the taste buds away you could taste the sweetness of the beef underneath the bite. It says it has white sauce in it but there was no sign of this in my pie so am guessing it is mixed into the gravy which probably was a bit of a waste, would like to have seen this on top of the meat like in a steak and cheese pie. This is definitely a pie I could eat again, although not my preference, but will be buying it again for my husband who really enjoyed it or when those winter chills set in. I do enjoy food that bites back, and pepper steak is one of my favourite meals... so I figured this pie would be well worth giving a try. Sure enough, steak, gravy, that distinctive pepper bite... and the best bit was there was enough pepper to give a solid flavour, but not so much that it was burning my mouth by the end of the pie. Having cooked this using my newest microwave programme - cook from thawed, 50% for 2 minutes with the paper bag sealed, then a final 1.5-2 minutes with one end of the bag open to allow it to dry out a bit - I got a well cooked pie that was evenly heated throughout. The pastry must be made of something magic, because I can&apos;t seem to turn it into a pasty, soggy mess nor a rock-hard sheet of plasterboard in the microwave. I would have liked to have seen some cheese in this one, because I am not 100% sold on the white sauce alone. Actually, what would be awesome to see is this pie redone with some blue cheese added in - I&apos;d pay the extra $0.50-$1 for that! Overall, ranks quite high with me, and certainly in my &apos;top 5&apos;, though I would pick some other flavours over this one if given the choice and availability. 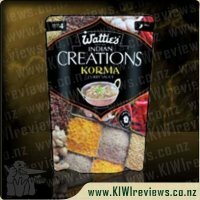 I plan to buy a few more and at some stage do this up as part of a meal with cheese & garlic mashed potatoes and steamed veges. After having a big Christmas lunch with family today I wasn&apos;t really feeling like any dinner, however my partner asked what he could have as he was a bit hungry, so I pulled a pie out of the freezer and defrosted it in the microwave before finishing it off to cook in the oven. I&apos;m not much of a fan of peppery or spicy foods myself, but when it comes to pies pepper steak is one of his favourites so I decided to cook this one up for him, which he was rather pleased about. The first thing which I noticed as I removed the pie from its packaging was that the top of the pastry was sprinkled generously with cracked black pepper, which did help with the pies appeal, and also made it fairly certain that you were about to dig into what looked like a very peppery Pepper Steak pie. Serving the pie up to my partner on a plate his first initial comment was "that pie looks like it has a lot of pepper on the top, hopefully it&apos;ll be the same inside". I quickly decided to try a piece of the pie for myself before it got demolished in front of me within seconds, the strong taste of the pepper hit me almost immediately, in the small mouthful that I tested, it certainly had "plenty of piquant cracked black pepper" as the packaging stated. In my mouthful I got a good sized chunk of steak, the sauce like all of the other Dad&apos;s Pies I have eaten was rich and the gravy was a deep colour which was well seasoned with quality ingredients. 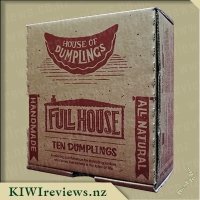 Asking for my partners thoughts on the pie he told it was definitely one of the best microwave pies he had eaten and that it also beats those pies you get from a cheap bakery which are often full of cheap cuts of meat and a whole lot of fat and gristle. 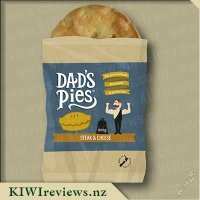 He stated that the products used in this pie were certainly high quality and he loved the chunks of steak throughout and the perfect amount of pepper in the sauce. He enjoyed the crispness of the pastry and the fact that it didn&apos;t all crumble up when it was cut up, thumbs up all around from him. 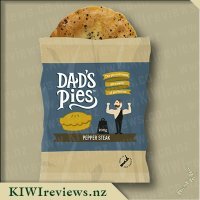 Though I wouldn&apos;t personally eat this flavour myself, I can&apos;t knock it so will definitely purchase these again for my partner if he wanted me to stock up on microwave pies for his lunch, a great pepper taste if that&apos;s what your taste buds desire! 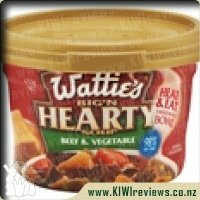 Wattie&apos;s Hearty soups will conquer any appetite. Inspired by traditional recipes these soups are packed full of wholesome and hearty ingredients that are sure to fill you up and warm you right through. Available in the soup aisle of your local supermarket.